I'm probably a bit more excited about this than a grown woman should be but I LOVE jazzie sweets! 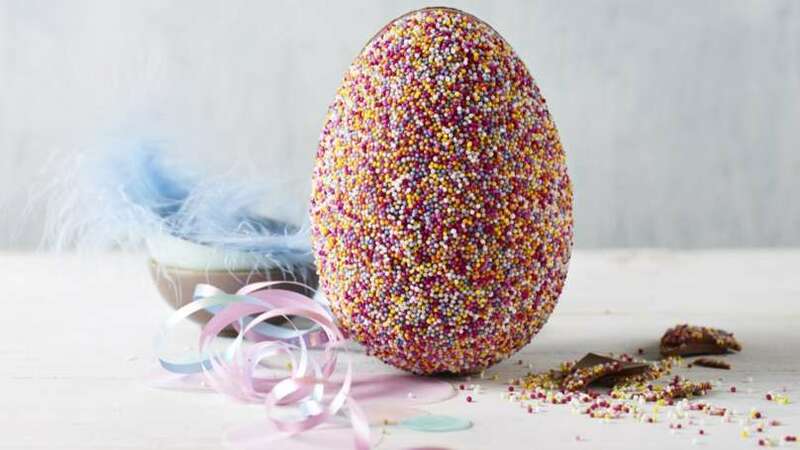 M&S are doing a milk chocolate hollow Easter egg covered in jazzies for £4 which I think is a really decent price as you pay that and more for a plain Thorntons egg. Really retro the only thing that could possibly make it any better for me would that it was available in white chocolate as well but sadly its not but this will do me fine! Did he work in the M&S factory?? Unfortunately the back is just plain chocolate. This might be a stupid question, but thinking of gifting this to someone …This might be a stupid question, but thinking of gifting this to someone vegetarian; anyone know if it's suitable? 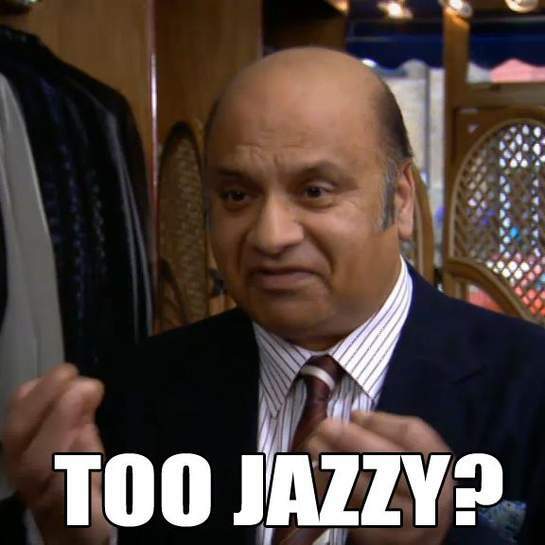 No, you'll be needing the vajazzle version (some people think they may contain traces of camel, but I think that's just some sort of joke), if they haven't got them on display just ask the store assistant. Half the fun picking them up by licking your finger and trying to get them to stick to it or is that just me that does that?! Oooh lucky thing! Don't take them all! "hand decorated" ..one by one? This might be a stupid question, but thinking of gifting this to someone vegetarian; anyone know if it's suitable? Used to hate those jazzie buttons, wasn't real chocolate just "chocolate flavour". As were those white "chocolate" mice that ruined your 50p mix. But when he was born we got chocolate Santa's! 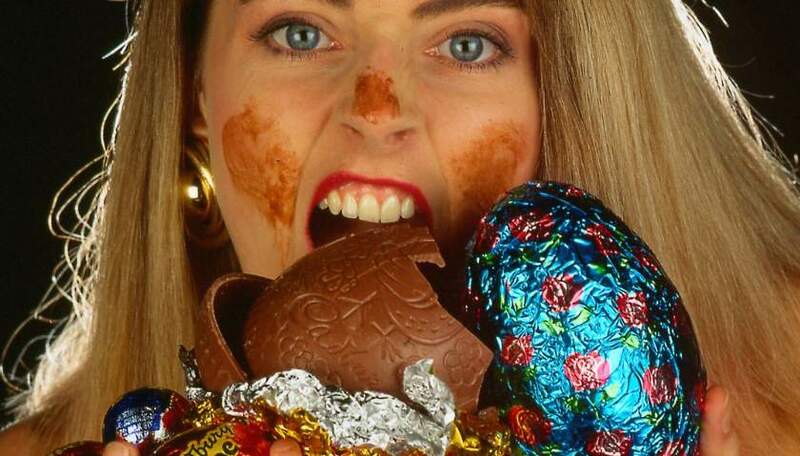 "M&S are doing a milk chocolate hollow Eater egg covered in jazzies for £4 which I think is a really decent price as you pay that and more for a plain Thorntons egg." Eater egg made me smile! No, He worked at Alans Snackbar. 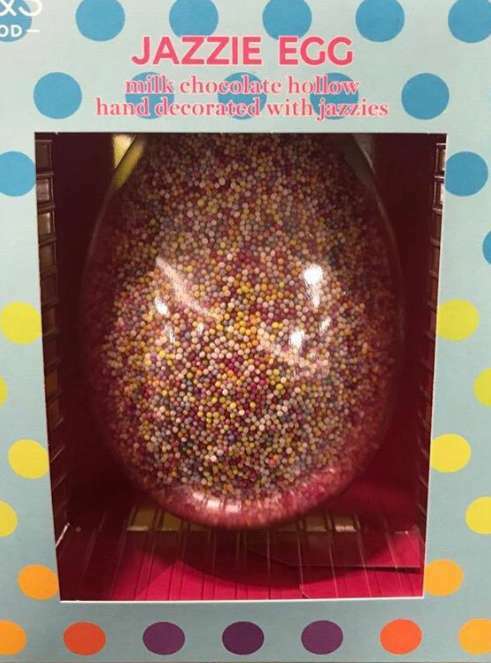 "M&S are doing a milk chocolate hollow Eater egg covered in jazzies for £4 …"M&S are doing a milk chocolate hollow Eater egg covered in jazzies for £4 which I think is a really decent price as you pay that and more for a plain Thorntons egg. "Eater egg made me smile! Mmm this looks.fab!! Do.you get anything inside or is it just the egg? What have I told you about your long angled lens mr Bitcoin?! Heat added though, thanks for sharing. Lovely looking egg. How much does it weigh? Is there a bag of Jizzes inside? Did you find these in a full clothes / food shop? They had other types of eggs which cost more. Went to a marks and spencer food store. 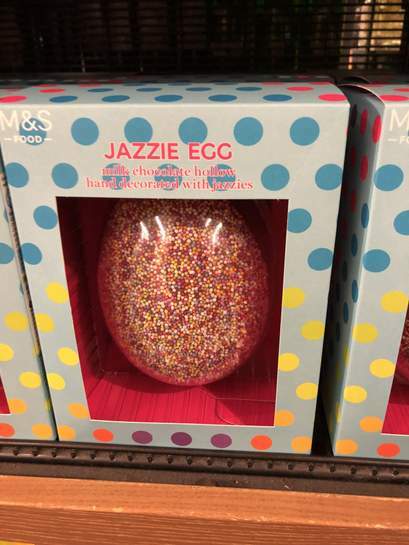 they did not have this egg which …Went to a marks and spencer food store. 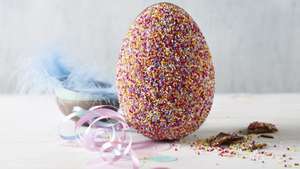 they did not have this egg which is a shame Did you find these in a full clothes / food shop?They had other types of eggs which cost more. Thought I looked everywhere... Snowmen do not ask for directions! I will go tomorrow and ask.. Thank you! Jazzie as in mag ?